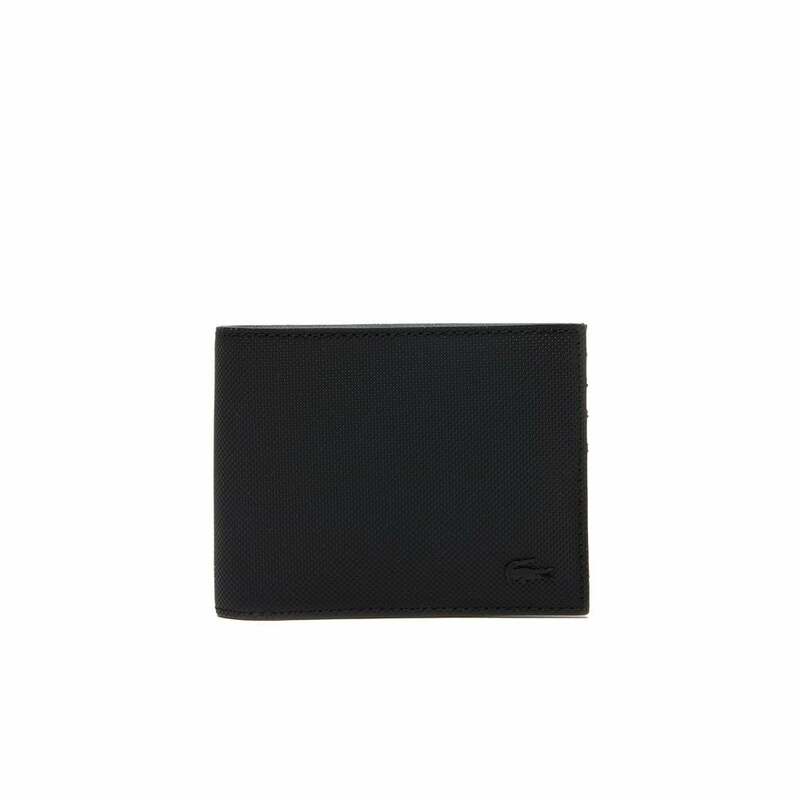 This Lacoste S Bifold Wallet has a PVC exterior and black in colour with a textured pattern. The interior is blend of polyester an cotton and featured a note section and several card sections. The textile lining of the note section is plan navy in colour. Lacoste branding is found as a metal badge on the exterior and impressed into interior. The wallet comes in a presentation box making it a perfect gift.